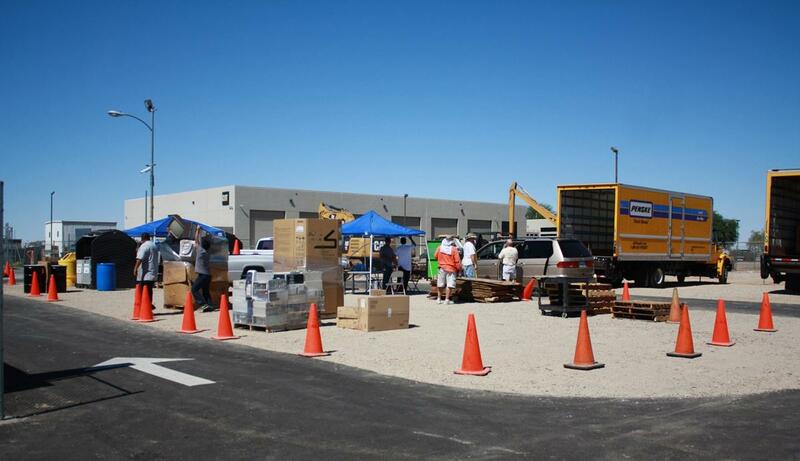 Lancaster’s 24 Hour Recycling Center is located at 615 W Avenue H (adjacent to the Sierra Hwy overpass). LANCASTER – The city of Lancaster’s 24 Hour Recycling Center will host its third Electronic Waste and Used Oil Recycling Event this Saturday and Sunday (Dec. 1 & 2), from 8 a.m. to 4 p.m., at the Lancaster Maintenance Yard, 615 W Avenue H (adjacent to the Sierra Hwy overpass). The event will feature free disposal of used motor oil and any type of electronic waste including; televisions, computers, printers, laptops, toasters, lamps, and anything else that has a cord or battery. The first 100 citizens dropping off oil will receive a free oil change kit, which includes an 11-quart oil pan, funnel, oil rag, and oil filter draining device. For those who are unable to make it to the event, the City of Lancaster’s Recycling Center is open 24 hours a day, with an after-hours drop off location for weekends and holidays. The center also includes used oil and oil filter collection areas, separate pouring and container disposal stations, and segregated bins for electronic waste and batteries; allowing citizens to drive up and drop off their oil and electronic waste. For more information, visit www.cityoflancasterca.org/24-hr-recycling or call 661-723-5885.